12 years and under at all times. *Help children understand: how to behave with respect in the temple room; to sit at the dining tables, not climb on them; where to play and where not to play. -Where to play: designated playing areas are the field between the temple, Saksigopal’s house and the parking area as well as the lawn between the temple and the pavilion. *For safety reasons children bicycling, skateboarding, and riding on scooters is not permitted on the temple grounds. *Children may look at but are restricted from picking Sri Sri Radha Shyamsundara’s flowers. By following these guidelines for a safe visit to New Raman Reti you will help ensure a pleasant time for everyone. *Temple residents and staff are not responsible for unsupervised or unaccompanied children. *If a temple resident or staff becomes aware of an unattended child they will try to contact a parent or legal guardian. If unable to locate parent/guardian appropriate authorities will be contacted. while on temple property. We care about children and putting their safety first is a must. Supervision means that a child is being watched at all times by a designated adult; that the child is within eye sight of the designated adult; that the adult is ensuring the child is behaving in a safe and appropriate manner according to their age and NRR guidelines. We will look for the parent of an unattended child and state the incident or problem that was observed. We will remindthe parent/adult of the NRR childsafety policy. A record of this will be keptin the temple office. 2 – The second time a Written Warning will be issued. Written acknowledgement of the incident will be sent to the parent by registered mail and/or delivered in person. The parent will be required to return a signed copy of this written warning, acknowledging that they have received and read it. Consequences of a 3rdinfraction will also be explained at this time. Copy will be kept in the temple files. 3 – The third time Restrictions fromTemple Attendance will be applied. In an effort to keep all children safe and our community and guest’s experience disruption-free, if a parent is in violation of the NRR child supervision policy three times, the parent and child will be restricted from visiting the temple for a period of time, beginning immediately. Our Position:  ISKCON of Alachua, Inc., the New Raman Reti Temple and home of Sri Sri Radha Syamasundara, Sri Sri Krishna Balarama, and Sri Sri Gaura Nitai, is a temple within the International Society for Krishna Consciousness, as established by His Divine Grace A.C. Bhaktivedanta Swami Prabhupada, Founder Acharya. We are loyal to, preach from, promote the books of, and espouse the teachings of His Divine Grace Srila Prabhupada. 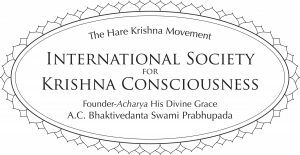 We serve within the greater ISKCON society, under the direction of the ISKCON Governing Board Commission (GBC). Reason for the Policy:  It is recognized that spiritual movements will inevitably develop many branches over time, particularly after the passing of the Founder Acharya. Since the physical departure of His Divine Grace Srila Prabhupada, we have seen a number of devotees join groups associated with the Gaudiya Math or other Vaisnava groups, as well as those following “alternative” philosophies regarding disciplic succession. Offer service as deemed appropriate by the Temple management. Leaders and sannyasis of non-ISKCON groups will limit their attendance at the Temple to only taking darsana of the Deities, and taking prasadam in the Welcome Center. ·	Consequences:  Anyone in violation of this policy will be asked to leave the Temple property. Conclusion:  In making this policy statement, we are in no way denying the freedom of thought and speech of any person. We respect an individual’s rights to other philosophical positions. However, we are upholding the purpose of the New Raman Reti Temple property and projects, which is to promote Srila Prabhupada’s teachings as enunciated by the International Society for Krishna Consciousness (ISKCON) under the direction of the Governing Board Commission.